Georgetown: Fugitive jeweller Mehul Choksi, a main defendant in India's largest bank fraud case, is still an Indian citizen despite holding an Antigua and Barbuda passport, an Indian official said, adding that the government is pushing for his extradition. Choksi, who is one of the key accused in defrauding Punjab National Bank of $2 billion, fled India before the accusations surfaced last year. Bringing Choksi back to India would be a boon for Prime Minister Narendra Modi as he tries to bolster his anti-corruption credentials ahead of a general election. Choksi, along with his nephew, diamond tycoon Nirav Modi, are accused of colluding with a handful of bankers to secure credit from overseas banks using fraudulent guarantees. Both have denied the allegations and have moved abroad. Choksi has secured a passport from Antigua and Barbuda, where wealthy foreigners can become citizens in exchange for investing in the country. But Indian officials still consider him an Indian citizen, Venkatachalam Mahalingam, the Indian High Commissioner to Guyana and Non-Resident High Commissioner to Antigua and Barbuda as well as St Kitts and Nevis, said in an interview. "He has not renounced his Indian citizenship. We have revoked his passport, but that does not mean we have revoked his citizenship. We must agree if someone wants to renounce their citizenship; we have not agreed," Mahalingam said. "You cannot commit some crime and run away from the country and (think) we'd allow you to renounce your citizenship. That would look really stupid." India in August lodged an extradition request, which Mahalingam said Choksi was fighting. If all sides agree Choksi is Indian, he could potentially be extradited from Antigua using a Commonwealth-based agreement. But his Antiguan citizenship complicates the situation even though India does not permit dual citizenship. "He is ... entitled to the protection any citizen of Antigua and Barbuda is," Lionel Hurst, the chief of staff for the Antiguan Prime Minister's Office, said. In January, Hurst said the struggle over Choksi now depended on Antiguan courts, and warned the case could "last for a very long time." 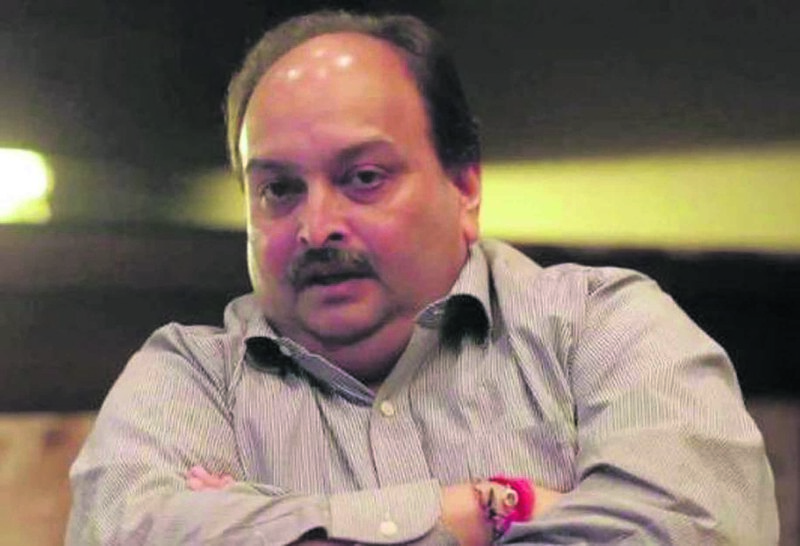 Choksi in November also filed an application to a Mumbai court refuting that he was a fugitive and blaming "persisting medical conditions" for preventing him from returning to India, court documents show. When asked whether Choksi remained an Indian citizen, Choksi's Mumbai-based lawyer Sanjay Abbot confirmed that Choksi had surrendered his passport but directed questions on his citizenship to David Dorsett, a lawyer for Choksi in Antigua. Dorsett did not respond to a request for comment. In a separate case, the Indian government is pursuing businessman Jatin Mehta regarding fraud allegations at his company, Winsome Diamonds and Jewellery Ltd. India has requested that St Kitts and Nevis, where Mehta is believed to be living, provisionally arrest him, Mahalingam said. "Once that is done, extradition request will follow," he added.